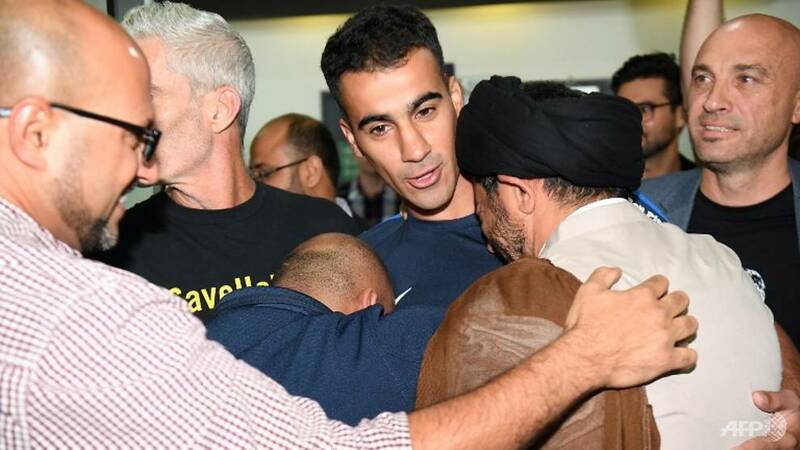 KUALA LUMPUR: Asian football company on Tuesday (February 12) said he worked "unthinking" to get the Bahrain player Hakeem al-Araibi refugee released after he was overwhelmed. The Asian Football Federation said he was "very happy" with a Saudi Arabian return to Australia after having been detained for more than two months in Thailand as he fought extradition to Bahrain. "The Asian Football Federation (AFC) is very pleased with the decision of the courts in Thailand to release Hakeem al-Araibi and let him return to Australia," the AFC said in a statement soon. "The AFC is working indefinitely with all the relevant stakeholders for a number of months and we thank everyone and all of those bodies for their support and commitment to bring this matter positively. " Saudi Arabia, sentenced in absentia in the case of anti-government objections in Bahrain, was aimed at political reasons after criticizing the AFC president Sheikh Salman bin Ebrahim Al Khalifa, a member of the Bahrain family of control. The first AFC public statement on Saudi Arabia came two months after its arrest, and said he wanted a "solution" to the situation rather than trying to release it.